With 2014 nearly in the books, the new parts for 2015 have started to stream in to help drive excitement for the new year. 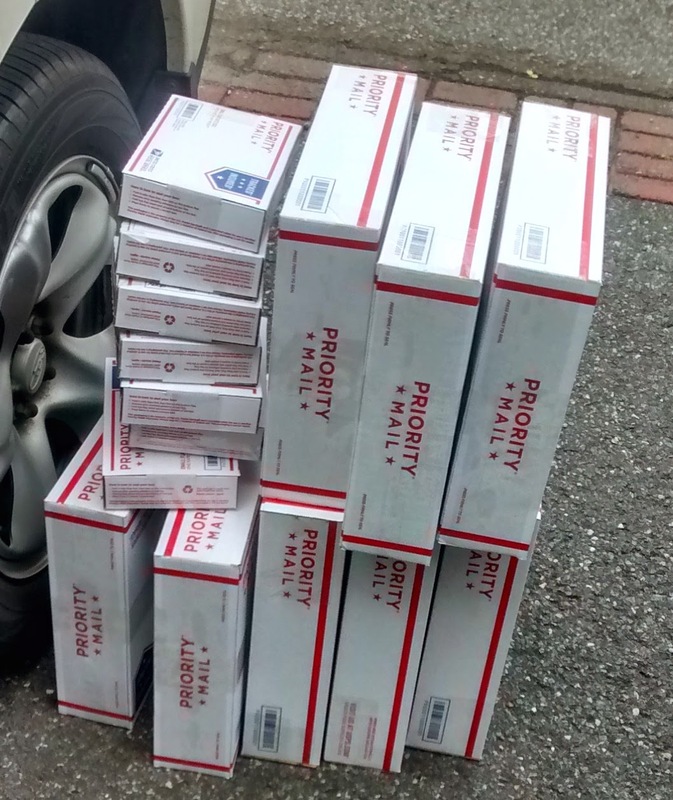 All of the possible back orders shipped today and most everyone will be lucky to receive their orders before the weekend. 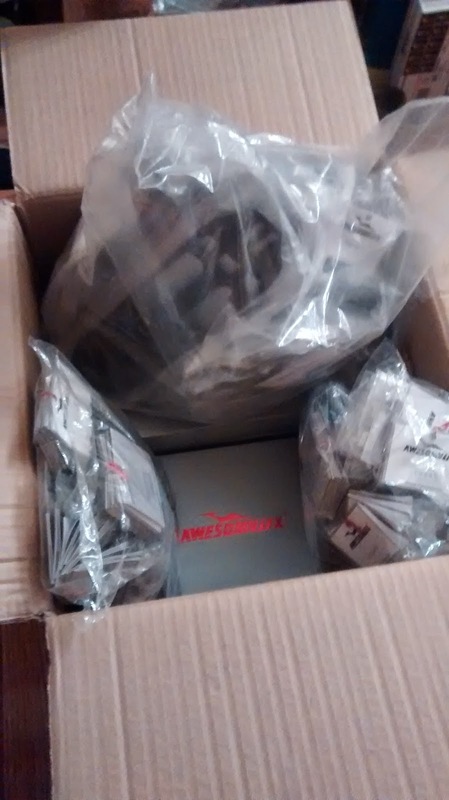 The web store has also been fully updated with Awesomatix and Lunsford inventories. Many A700 Evo II kits still remain on back order and every customer received notice of their existing back order in the last 24 hours. Once kits are inbound a personal notification will be sent. Happy Holidays. Be Safe. Cya at the track! These four kits will be evolutions to the prior A700 Evo, A700L and A700EX designs, not revolutions! The first major details on the cars were posted on RCTech this week. You can upgrade your existing Awesomatix cars to the latest 2015 spec without buying a brand new kit -- unlike our competitors. The simplest upgrade paths are for our 2nd and 3rd generation of cars - A700L, A700EXL, A700EX and A700 Evo. Building upon the already successful A700-C01AL-S design, this chassis is the narrowest design yet to minimize chassis drag on the racing surface and raise overall corner speed. All of the major parts needed to upgrade to the A700 Evo II Alloy Chassis, including the A700-AM33-5 Chassis Brace, A700-AM49-3 FFG Tower and A700-P06-1 Droop Screw Inserts. This new floating motor mount offers different flexibility settings to adjust overall flexibility. Motor Mount 2 requires A700-C01AL-S or A700-C01AL-S2 chassis (not included). 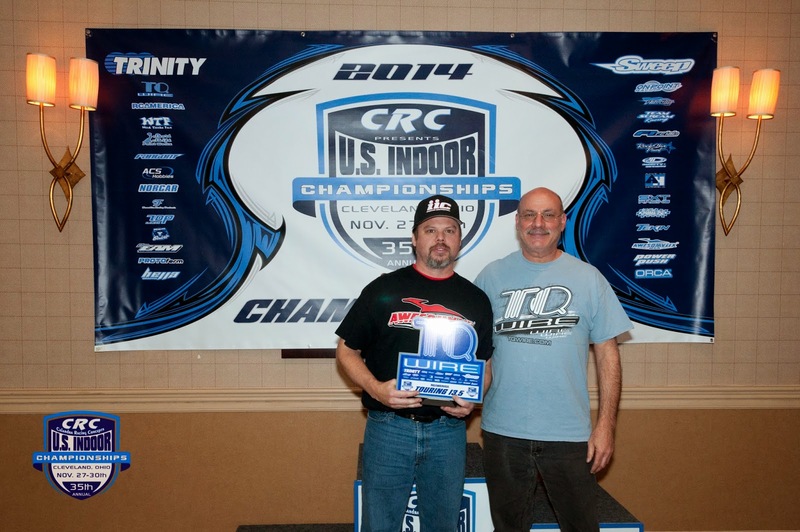 Mike Gee, Bill Sydor and Manny Flores TQ & Win at 2014 US Indoor Champs! 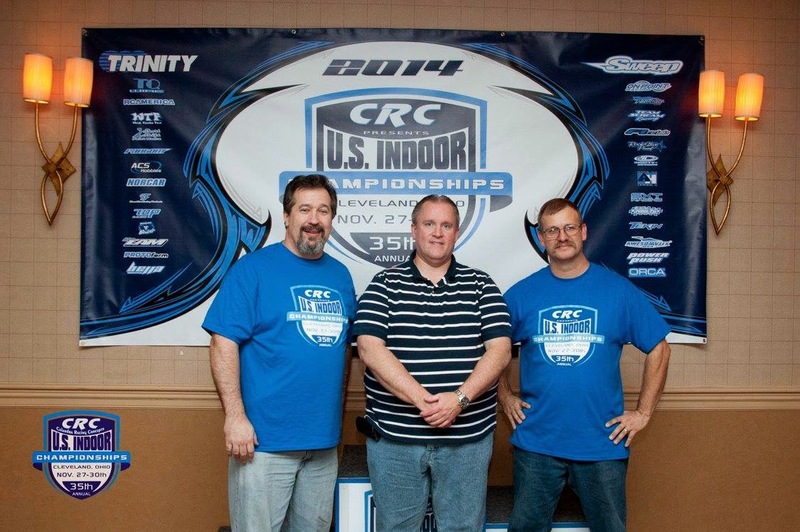 This past weekend was the 35th running of the US Indoor Champs, held this year at the Holiday Inn in Cleveland, Ohio. 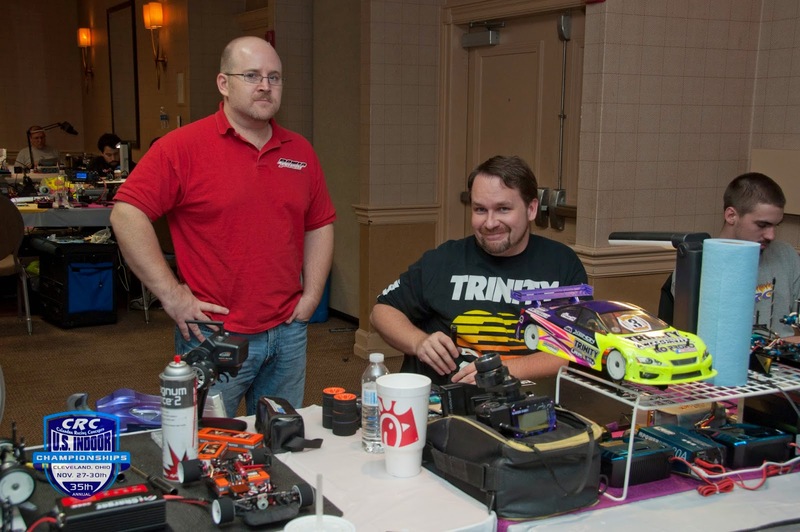 This year saw over 200 entries, and 31 heats overall. 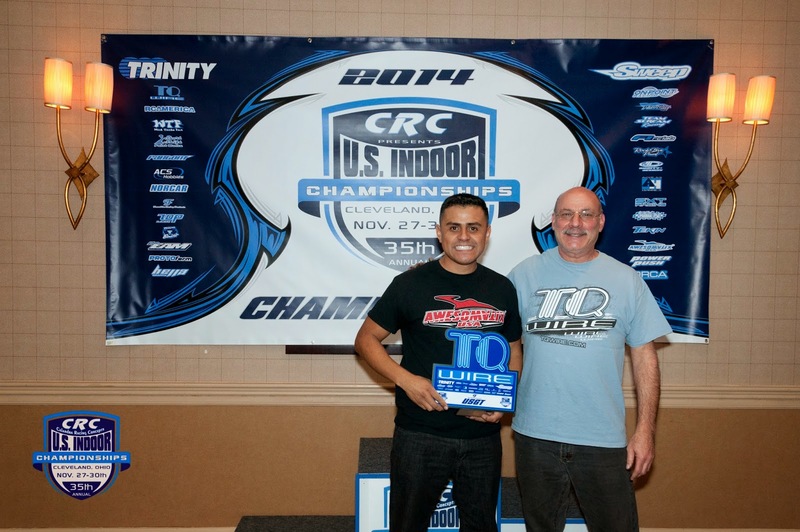 17.5 was the biggest touring class with 40 entries, with the USVTA, USGT, 13.5, and Mod classes also offered for TC's. This years track was very tricky combining a tight layout with high traction, soft spec tires and a bumpy subfloor, making perfect setups at a premium. 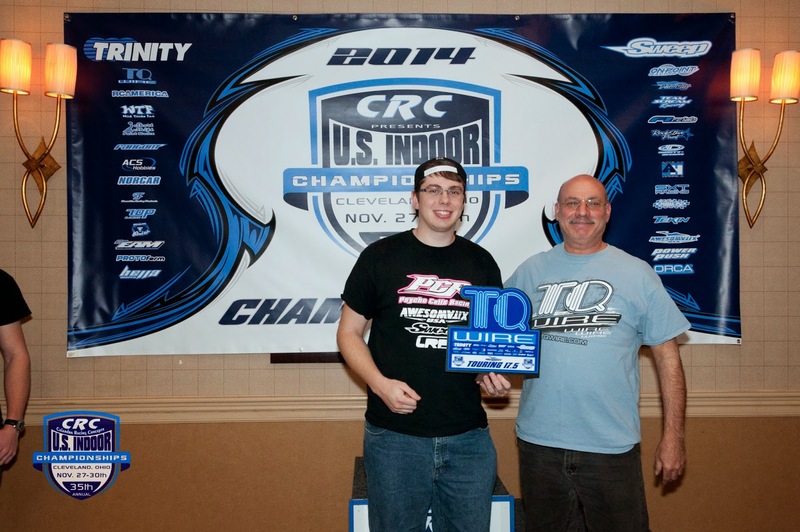 17.5 proved to be the toughest of all TC mains to make with all drivers completing 36 laps except the TQ, Awesomatix USA Driver Mike Gee being the only person to run 37 laps. Awesomatix USA Driver Bill Sydor would qualify 2nd, in addition to Manny Flores, Brian Wynn, and Dave Johnson making the show, for a total of 5 Awesomatix cars in the main, the most of any brand! In the main, Mike would open up a gap and not look back, cruising to the win. There was chaos in the pack though, and in the end Sydor had to retire, but Johnson would navigate his way up to a podium spot in 3rd. Mod TC saw Mike Gee and Awesomatix USA Driver Josh Cyrul qualify 3rd and 4th respectively, behind the Canadian duo of Andrew Hardman (Yokomo) and Keven Hebert (Associated). In the USGT class, Awesomatix USA Driver Brian Wynn set the early qualifying pace, but in rounds 3 and 4 Manny Flores stepped up to take TQ. In the main, Manny got off to a clean start and opened up a lead he would not relinquish. A few mistakes at the end by Manny made it interesting the last few laps, but in the end Manny held on with Brian finishing second, securing an Awesomatix 1-2. 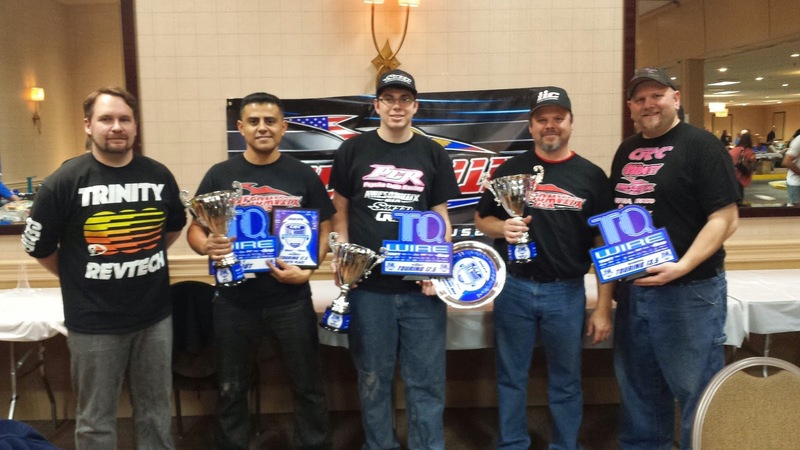 Overall it was a great weekend for Awesomatix USA with 3 TQs, 3 Wins and a podium in Mod TC. With Gee's win in 17.5, Awesomatix has swept 17.5 TC at the "Big 4" races for 2014 (ROAR Carpet Nats & International Indoor Championships - Kyle Klingforth, Snowbirds - Larry Fairtrace), not an easy feat! Special thanks to Awesomatix customers, team drivers, and the US Indoor Champs crew for putting on a great race, we will be back next year!